Commuting in the car means a lot of time spent accidentally thinking about how it could be improved. I’ve come up with several ideas for accessories, and this first one is useless but very fun. For some time I was planning a system where buttons on the dashboard displayed messages on the rear bumper. Stuff like “C’MON, REALLY?” to display to tailgaters, and maybe amusing stuff like “WHAT’S WRONG WITH THIS GUY?” when someone up ahead is driving poorly. It would be a pretty straightforward bank of switches plugged into an Arduino, and either a screen with pictures or (better) a train-schedule type letter sign, if those can still be found. I realized there couldn’t be a classier way to respond to tailgaters than with a live-action version, so I decided to make one. 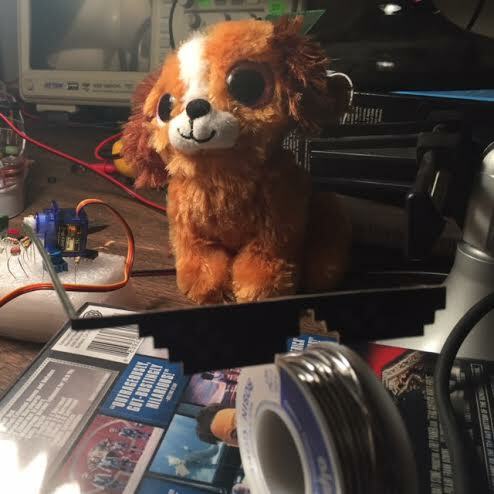 It would be a simple Arduino project, with a servo that lowers the sunglasses over the eyes of a stuffed dog. 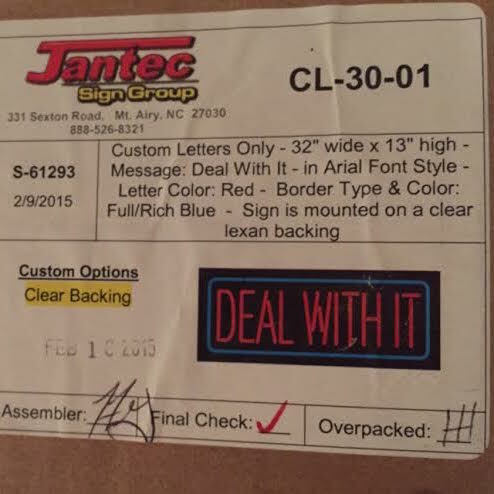 Then a relay would light up the “Deal with it” text on cue. The sign turned out to be bigger than I had figured, and it takes up the whole back window of the car. Luckily it has a clear backing so my view isn’t obstructed. There’s still some polishing to go, but it’s working very well. 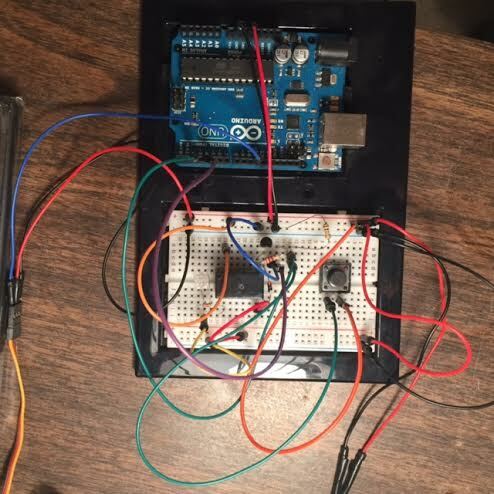 Arduino code is on Github if you’re interested. Previous Post React: Why use it? I hit the wrong bottom. 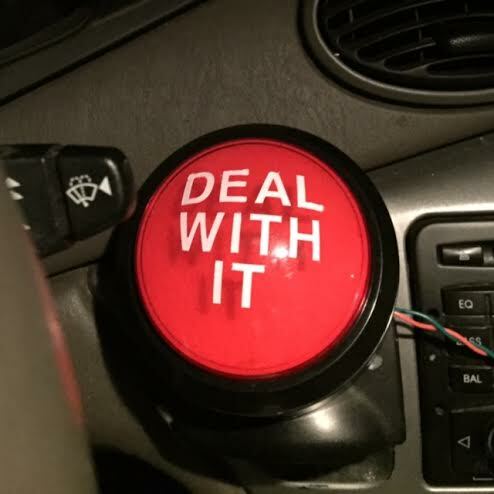 What I was about to write was: You might not have fun with a nut who becomes psychotic when he reads what you are telling him with an electronic sign flashing from the rear of your car. My advice is: Make no eye contact anatomically or electrically when behind your wheel. From your wise old grandpa .